With the global reach of Twitter, it’s totally possible you’re following a few folks that don’t necessarily Tweet in your native language. 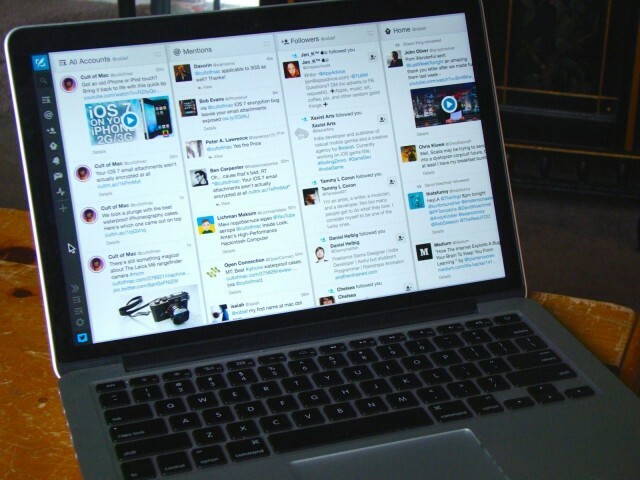 When that happens, it’s TweetDeck to the rescue with its very useful translation function. Here’s how to make that work. For all those unilingual schmos who’ve thought they were telling some lucky foreigner “hey, I like the cut of your jib” in another tongue, but instead said something like “you chicken dance the burning planets,” I sympathize. And also laugh. To make up for the laughing, here’s a tip — a trick app to pull out next time: Sendboo. It’s a free app that automatically translates your “hey, baby” to “olá, bebê” — or into 29 other languages besides Portuguese. Fantástico. 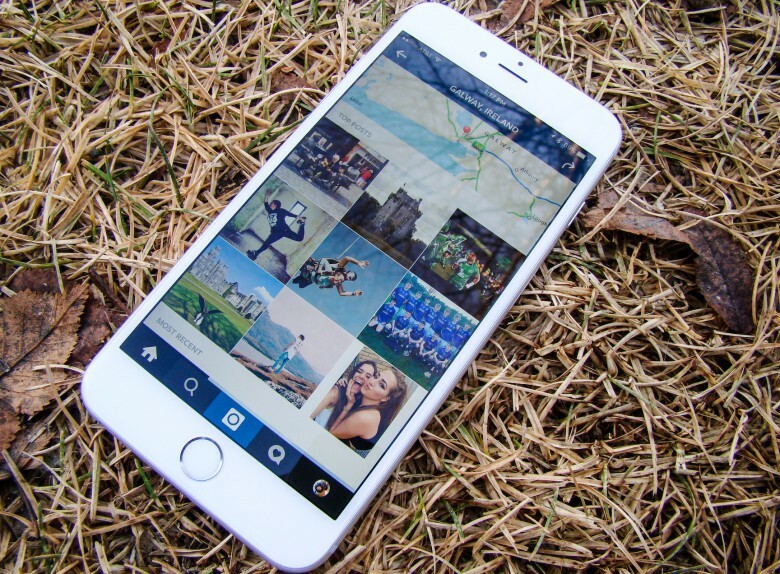 This week's roundup features updates galore, plus a terrific voice translation tool for iPhone. Instacast, undoubtedly the best podcast manager for iOS, got a great update this week that deserves a place in our must-have apps roundup. We’ve also got an impressive voice translation tool that you just have to try, a social weather app that’s more reliable than the weatherman, plus major updates for Pocket and Google+. It’s never been easier (or as cheap) to translate words and phrases between over 60 languages than it is with the free Google Translate app for iOS. Simply select the language you require, type or speak your phrase, then wait while Google does the hard work. Here’s how to get started. 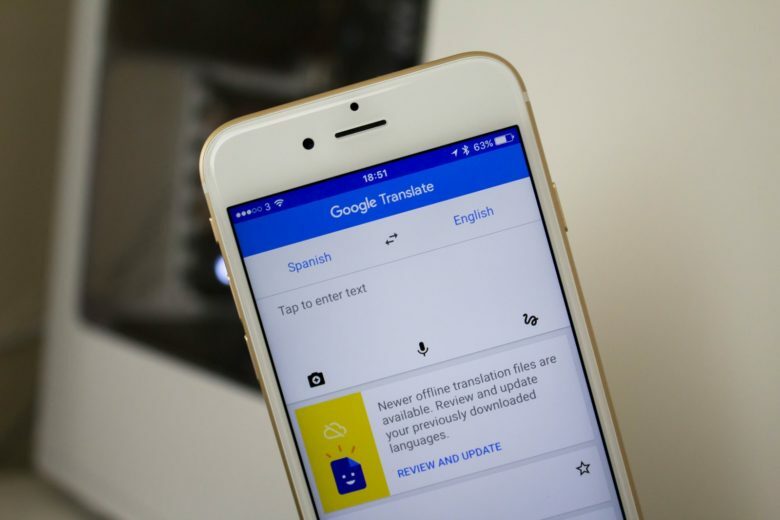 Google has updated its popular Google Translate app for iOS today, introducing native support for the iPad. Instead of running in a small window in the center of screen, the app will now take advantage of your iPad’s large display to make text translation easier on the go. Ever gone a trip overseas and felt silly trying to talk to locals who didn’t speak a lick of English? Yeah, me too. It’s actually become a bit of problem for me because I love traveling to different countries, but hate not being able to communicate with the locals. Today we’re offering a heat-seeking deal from Ultralingua. If learning a new language has ever crossed your mind, this buy one, get one free Cyber Monday special is a definite piece of gold! Ultralingua dictionaries are available in dozens of language combinations, and they make a great gift for students, business professionals, teachers, and travelers. Use this deal for yourself or any of the language lovers on your gift list! Each language app includes a variety of reference and learning tools in a beautiful and simple interface. 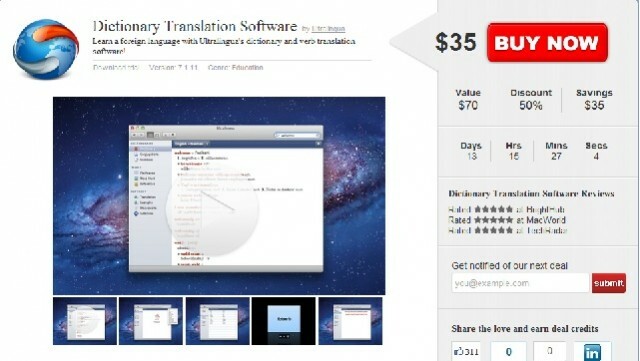 For only $35, you’ll get two Mac App Dictionaries of your choice! This Week’s Must-Have iOS Apps: Free-App Hero, Google Translate, Pillboxie & More! At the top of our must-have apps list this week is Free-App Hero, a fantastic app tracker maintained by experienced, professional game reviewers with an encyclopaedic knowledge of thousands of iOS apps. Unlike other free app recommendation services, Free-App Hero recommends only the best games, because they’re the best – not just because its developer paid them to recommend it. Google’s latest application, Google Translate, is also in this week’s choice of applications. One of the best language translation services is now available on your iPhone, with the ability to translate words and phrases between more than 50 languages. It has some great features that make using Google Translate a pleasure on your iPhone. Pillboxie is an excellent application for those that require regular medication, providing you with an incredibly simple way to create a schedule for your medication and get reminders when your pills are due. Never forget your pills again and discover the easiest method of managing your medication on your iPhone. Find out more about the applications above and check out the rest of this week’s must-have apps, including Friended and Camera Mic, after the break! Calling all Star Trek fans out there: The iPhone 3Gs has a universal translator — Jibbigo. Speak into your iPhone in any of the five supported languages, and the iPhone speaks the translation back.